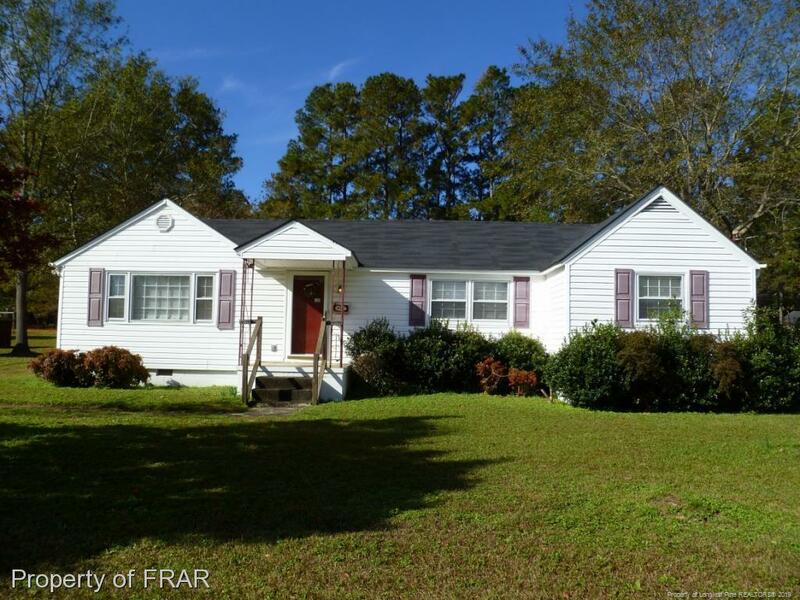 LARGE LOT IN RAEFORD CITY LIMITS CLOSE TO SHOPPING, RESTAURANTS, AND SCHOOLS. RECENT UPDATES AND REPAIRS INCLUDE A NEW ROOF, PAINT, WATER HEATER, SIDING REPAIRS, AND MORE. FAMILY ROOM, DINING, OFFICE/LAUNDRY/MUDROOM, 2 BEDROOMS & 2 BATHS. ATTACHED IN-LAW SUITE W/SEPARATE ENTRANCE HAS KITCHENETTE, LAUNDRY, 1BR, 1BA, LARGE LIVING. FENCED YARD. DETACHED GARAGE/WORKSHOP. NEEDS SOME TLC BUT PRICED ACCORDINGLY! Directions: Hwy 401 To West Edinborough Ave (Beside Bojangles). Left On North Wright St. Home On Left.